The term “overfishing” means the act of removing fish from a body of water at a faster rate than they are able to reproduce and replenish their population. This is dangerous because it impedes the ability of local communities living around the lake to secure a nutritious food source for themselves while in competition with mass fishing operations. Simultaneously, this diminishes the possibility of future generations to reap the benefits of the lake as the number of catchable fish continues to dwindle. 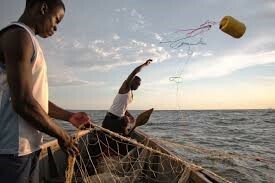 Further, of the fish that are caught in Lake Victoria by Uganda, roughly 80% are sold to Europe. This leads to the practice of illegal fishing, or catching undersized, sexually immature fish, among locals as a means of either providing for their families with food or cooking and smuggling them to sell for profit. 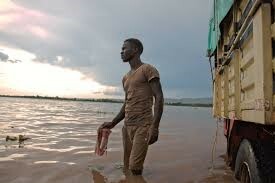 Illegal fishing exacerbates the overfishing problem in Lake Victoria and has drawn the attention of the Ugandan army. Fish are Uganda’s second largest export and the Army has cracked down on illegal fishing in order to protect it. The vast majority of legal fish are caught by major factories, leaving only illegal fish in their wake. If local communities wanted to forgo illegal fishing and buy the fish from the factories, many of them would lack the purchasing power to do so. 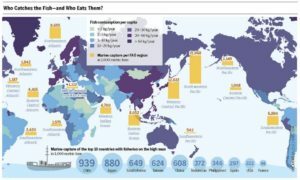 people a nutrient dense food source and means of living. hydroponically in conjunction with one another. The waste produced by the fish provides nutrients for the plants to grow and as the plants grow, they purify the water. This closed-loop system is sustainable and nearly self-sufficient. Implementation of this type of system could work in two ways: individual households setting up their own closed-loop systems or small communities sharing and utilizing larger scaled systems. that must be done. This begs the question: Why hasn’t this been tried yet? Setting up an aquaponics system can be costly. The cost of the materials, construction, seeds, etc. and the recurring cost of fish feed can add up quickly. The families that need a system like this the most are the ones that are unable to get it off the ground due to the initial costs. According to the Ugandan Bureau of Statistics, 21.4% of the population is living in poverty, meaning that roughly eight million people are unable to afford three meals per day. The picture becomes more bleak moving inland, as rural areas, which have even less access to fish, accounted for 86% of the national poverty. 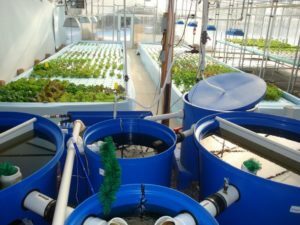 The Ugandan IDEAS for Us branch based in the capital city, Kampala, has reached out and expressed an interest in developing aquaponics systems for local communities.